Are you shopping for country wedding dresses? Learn more today and get some ideas for what you want to wear to your wedding and how that may or may not effect the rest of your wedding planning. There are many different ways to bring a touch of country to your wedding dress. One of the easiest ways is to just keep it simple. Your wedding gown does not have to be elaborate if you do not want it to be. Feel free to skip the ball gowns, beads and all the over the top styles if that is just not you. This is your wedding and you need to be happy in the dress you wear. If a simple dress is what you are going to feel most comfortable in, that is what you should buy. Remember simple does not mean ugly, it just means unencumbered. 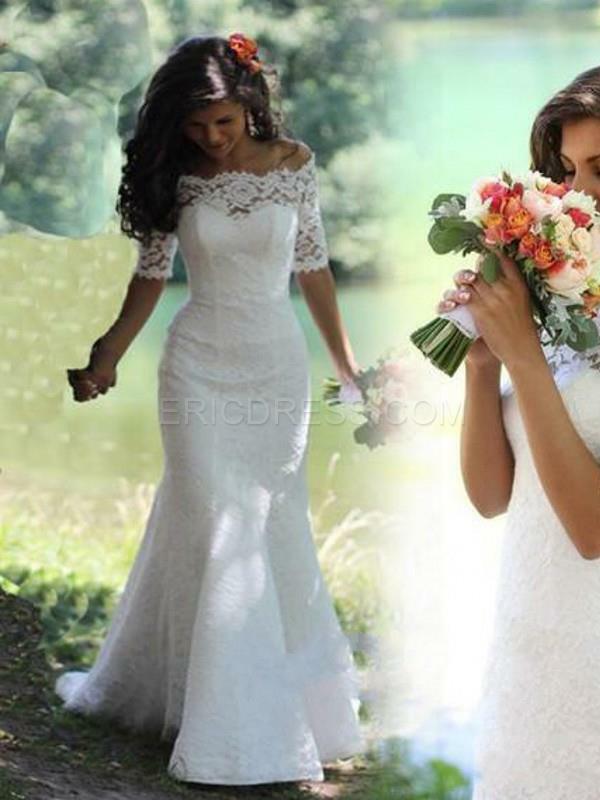 Do you like the idea of a simple wedding gown but you do not want to go to simple? How about adding some lace to the ensemble? There are many wedding dresses on the market that include lace, tulle or a combination of the two. This could add a little something extra to a simple dress without sending it over the top. 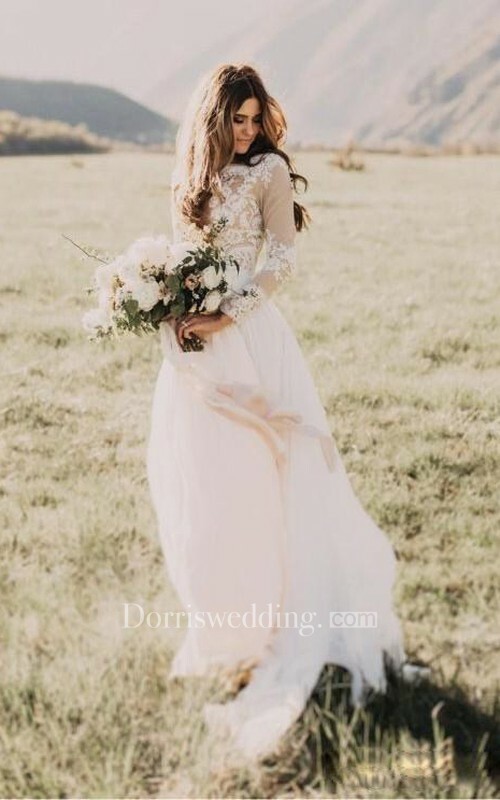 You can choose to just have a little lace on the dress like on the hemlines, or covering your back, or you could choose something that is beautifully covered in delicate lace, adding femininity and sophistication to your county wedding gown! Sometimes it is less about the dress and more about the accessories. If you are planning to wear cowboy boots under the dress, you may want to choose a gown that can show those babies off! You could choose a tea length dress, a short wedding gown or even a hi lo dress that would frame the boots nicely. 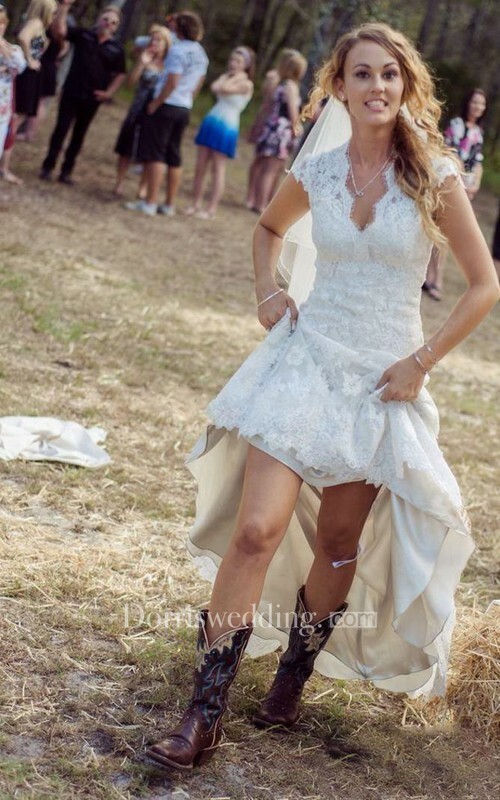 Of course a shorter wedding dress might be a good option for you even if you are not interested in wearing cowboy boots at all! 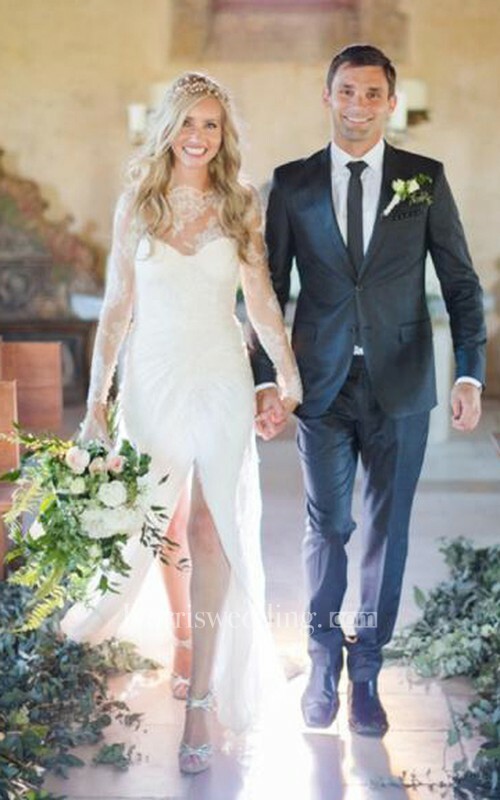 A shorter wedding dress could be more comfortable, more stylish or even more freeing. If you have never imagined yourself walking down the aisle in a long, flowing wedding gown – I have good news for you – you don't have to wear a long dress. Shorter wedding gowns are completely acceptable these days and even if they were not – who cares – it is your wedding! Are you looking for something a little different? 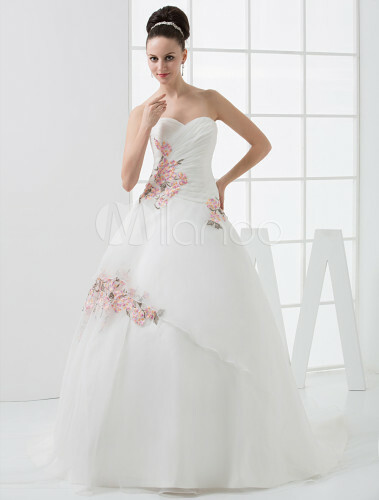 Have you considered wearing a wedding gown that have floral elements within it? If you are having a wedding theme it could be floral country, adding both elements together. 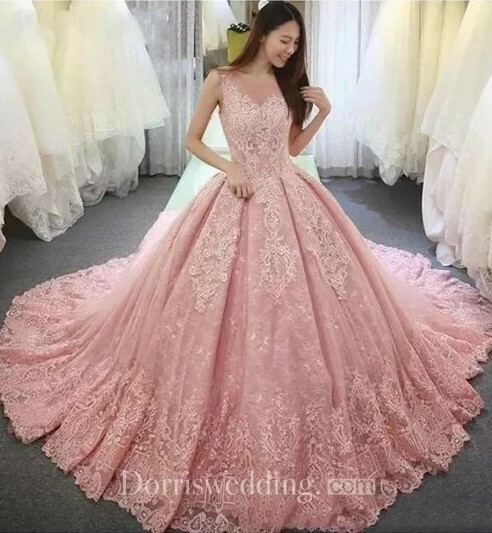 I understand that you will already have a bouquet and the reception and ceremony will be decorated with flowers, but there is no rule stating the dress cannot be floral as well. Sure, this design might stray a little bit from traditional wedding dresses, but we are not having a traditional wedding are we? You can choose to have barely there flowers, designed in lace or beads or you could have colored flowers on the dress in small ways or bigger ones. The design could be in pastels and barely there or the floral aspect could be bold and larger than life. Does the idea of walking down the aisle in a white wedding dress depress you? 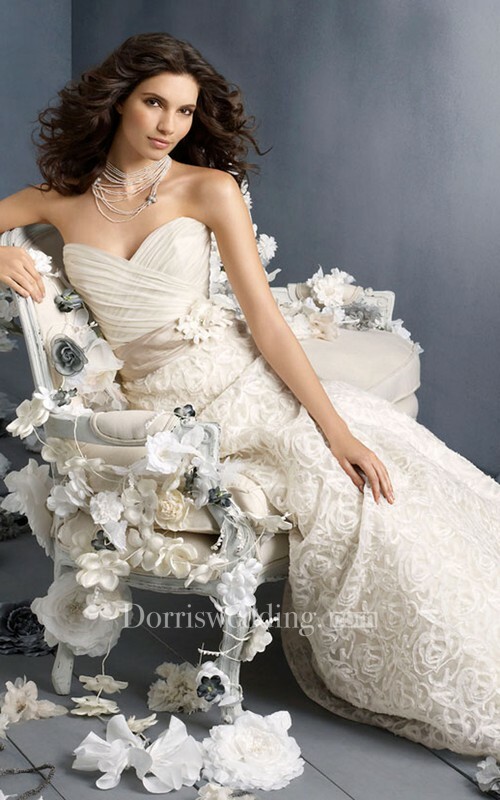 Do you think white and ivory dresses are boring? Have you considered skipping those bland colors all together? You can choose to have an ultra feminine wedding gown by choose shades of pink or blush. You can choose a light blush which is barely darker than the ivories and creams but is still different from everyone elses dress or you can go all out and choose a hot pink dress. Remember to shop not just for the color but the style. A pink dress in the same shade will look vastly different if it is a mermaid gown, a ball gown or an A line dress. Choose the color and style that is best for you. At the end of the day, this is your wedding. Perhaps you read about a style on this page or even saw the perfect wedding dress for you. I hope so. But if for some reason that did not happen, don't fret. There are many ways to make the wedding dress of your dreams a county wedding dress. Where is the ceremony held? What is the theme? Are their specific elements in your wedding that are not in every other wedding you have been to? Find a dress that you love and that does not look out of place in comparison to the rest of your wedding. Picking out the perfect wedding dress is usually one of the most important things a bride will do while planning the wedding. If you pick out the dress first you can plan the rest of your wedding around that one beautiful element. For instance if you choose a pink or floral dress, those are easy elements to plan a wedding around. You could have pink as a wedding color or choose to only make floral wedding centerpieces. You could have pink wedding favors, pink stationery and pink flowers. Of course if you choose something less obvious, the way to build the wedding around it might take a like more creative energy. For example if you choose to wear a short wedding dress you might equate that to having a more relaxed wedding or an outdoor ceremony. Then you would think of other ways to make the ceremony and reception more relaxed. However, it all starts with the dress!